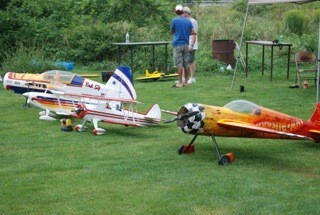 Thank you to Bill Hodgdon for these great photos from the event. Click images to view full size. 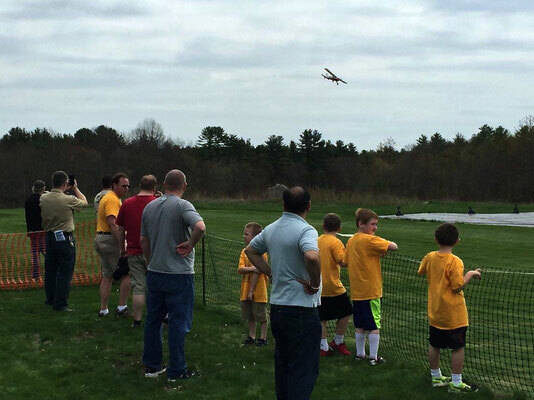 On Saturday, April 29, 2017, the Rochester Modelers Club hosted its first "Learn to Fly" radio-controlled model aircraft event for about a dozen members of the Newmarket Cub Scout Pack 201. The event was held to teach the kids about flying radio-controlled (RC) model aircraft — what they are, how they work, how to fly them safely, and to give them the opportunity to see many different types of aircraft and what each of them can do. 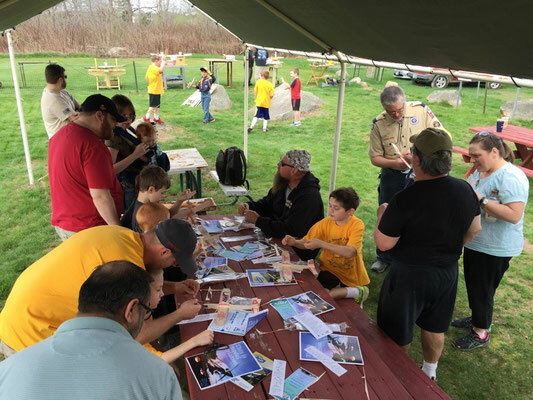 Scouts were able to see model aircraft including: duct fan flying wings; duct fan jet; electric prop-powered planes; quads and more. Throughout the day RMC member volunteers were on-hand to teach the Scouts about all the different aspects of RC flying and to answer any questions they had. 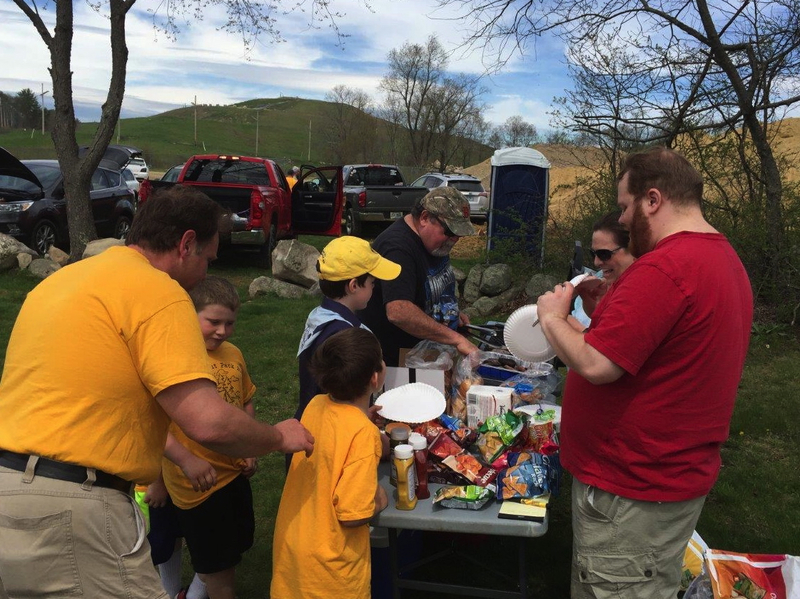 The day finished off with a cookout lunch for all attendees. The Cub Scouts, their leaders and their families thanked the RMC and its volunteers for hosting the event. 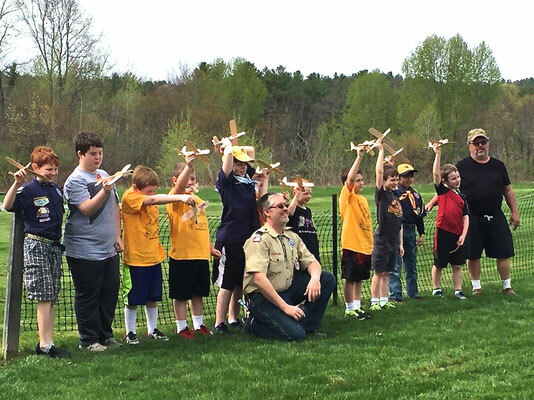 It was such a great success that the Cub Scouts talked about planning more “Learn to Fly” events for other Cub Scout Packs in the area. 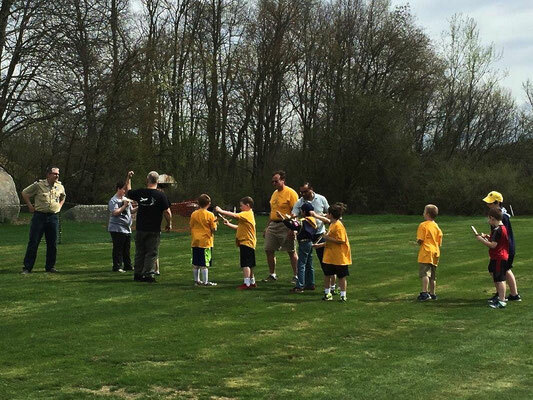 If your Cub Scout Pack would be interested in having an event, please contact the RMC club for info. 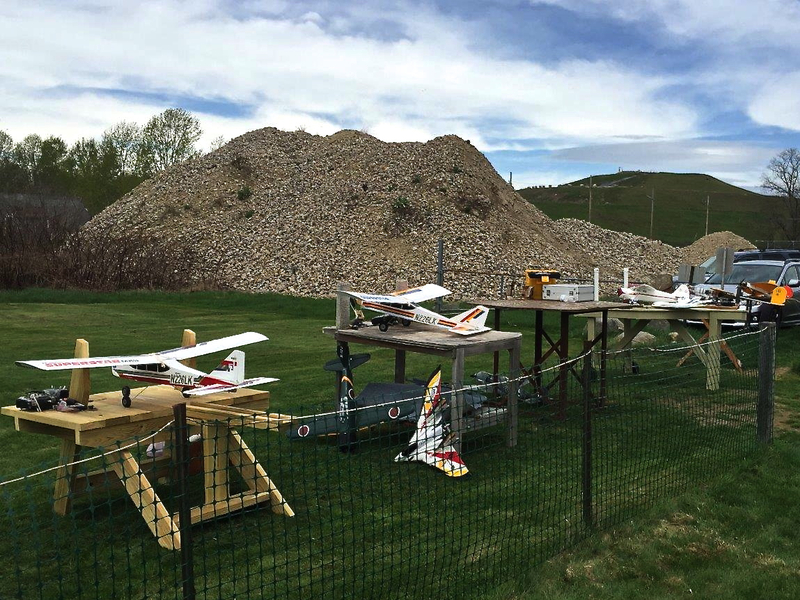 This event was made possible thanks to the Academy of Model Aeronautics for providing each child with airplane and training information and to Robert Magnusson of Waste Management for providing the flying field for the event. A big thank you also goes out to RMC club volunteers including: John Cahill, VP; Marshall Smith, Safety Officer; John Kostis, FPV Quad Guy; Chris Johnston, Camera Quad; Terry Smith, Trainer Instructor; and Bill Hodgdon, event photographer and glider builder for providing each child with a glider to take home. If you would like a one-page printable flyer of this event information, Click "Download" to download a pdf of our press release.